It is important to not overreact after only 20 games, but some conclusions can certainly be drawn. Ronaldo is the greatest star in the World Cup, plain and simple. Coming off a European Championship with Portugal and a Champions League victory with Real Madrid, Ronaldo entered the World Cup looking to solidify his place amongst the legends in futbol. Ronaldo is not only competing to win the one trophy that has alluded him, but he is competing with Messi to see who will ultimately be regarded as the better player historically. A clear takeaway after the first week? Ronaldo may pass Messi in the history books if he continues at his current pace. Facing Spain, one of the tournament favorites, Ronaldo bamboozled La Roja, scoring a hat trick in a 3-3 draw. Not only did Ronaldo help his own status by netting a legendary hat trick on the world’s biggest stage, but Messi choked in Argentina’s opener. A day after Ronaldo put the world on notice, Messi missed a penalty kick in Argentina’s 1-1 draw with Iceland. Putting even more pressure on Messi, Ronaldo followed up his hat trick by scoring the lone goal in a 1-0 win over Morocco. The Portuguese star now ranks second all-time in international goals scored with 85, 24 behind Iranian Ali Daei. If Ronaldo can net a few more goals and lead Portugal deep into the tournament, he may just be considered the best player of the generation. Coming into the World Cup, the defending World Champions looked prime for another deep run into the latter stages of the tournament. After a shocking 1-0 loss to Mexico, the champs suddenly seem vulnerable for the first time in years. It would be foolish to count the Germans out, but the air of invincibility is gone. 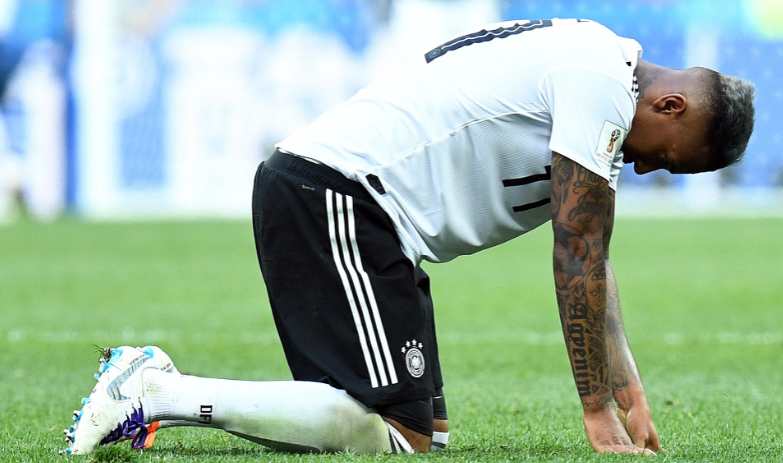 Germany has the talent and the experience to quickly right the ship and make another run at the title, but things surely need to change. They were extremely vulnerable on counter attacks, and lacked the creativeness in the attacking third that we’ve become accustomed to. Sami Khedira is at least a step slower than in years past and coach Joachim Low might want to think about making a change in the starting 11. Germany looked to improve as the game wore on — especially when Mexico started to sit back and conserve the victory. Die Mannschaft have two winnable games remaining and should still be favored to advance from Group F, but teams will no longer be as scared as they were a mere two days ago. 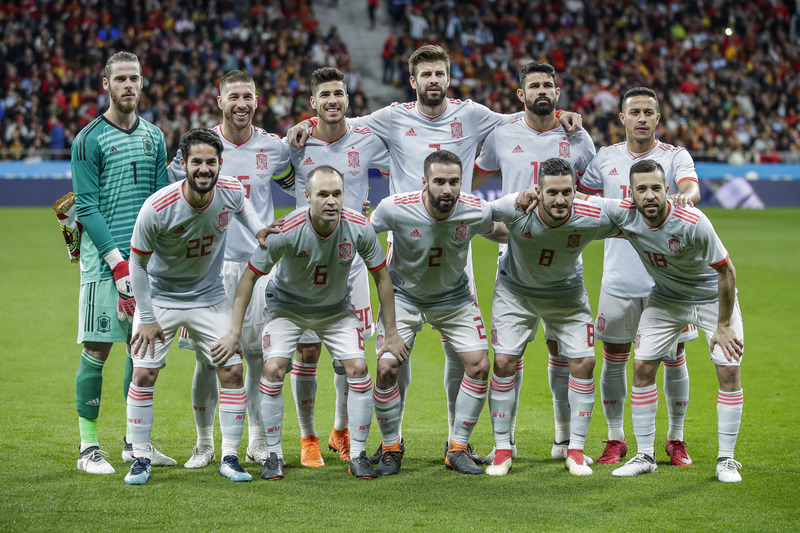 After firing their coach two days before their showdown with Portugal, some questioned whether Spain would be able to hold it together and live up to their pre-tournament hype. 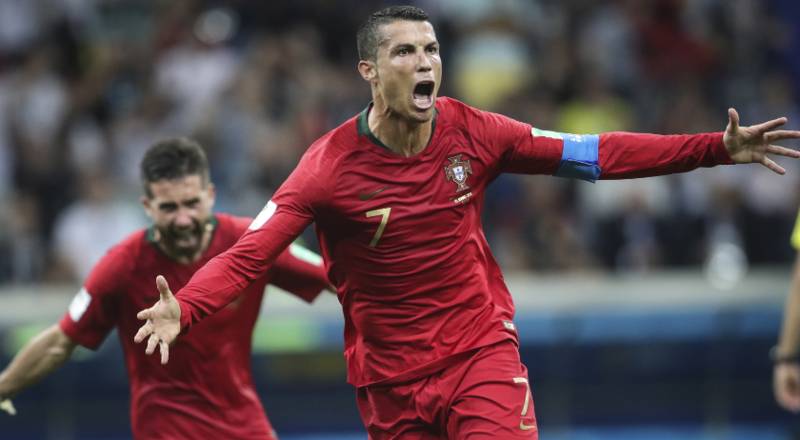 Spain were able to withstand Ronaldo’s onslaught and play a good Portugal team to a draw, despite all of their distractions and a legendary performance. Spain fell behind early after conceding a penalty within the first five minutes. Spain tied the game only to eventually go behind 2-1. An incredible display of skill resulted in the Spaniards taking a 3-2 lead before a late, sensational, free kick by Ronaldo tied the game yet again. Showing the ability to bounce back against one of the best players in the world and a top-10 opponent, Spain quickly reminded everyone that they are a force to be reckoned with. Look at this absolute cracker from Nacho. In their second game, Spain outlasted a stubborn Iran, 1-0. Locked in a tie atop Group B with Portugal, Spain would love a win against Morocco to assure their passage to the knockouts. Spain should still be the favorite, but their are other teams on their heels. Belgium looked like a team on a mission in their 3-0 demolition of Panama — France, Brazil, Germany, and Portugal will still be dangerous — but Spain should still be viewed as the favorite. Now that Ronaldo is in their rearview, Spain must feel very confident with their chances going forward. In years past the World Cup has had a problem with the competition from group-to-group. Because of the former format — after the seeded pots, teams were grouped by continents — the likelihood of two top teams being in the same group was rather high. Heading into this current World Cup, FIFA changed the way in which teams were to be grouped together. Instead of using the old, outdated method, FIFA decided to use the FIFA rankings to determine the groups. Pot 1 contained the host (Russia) and teams ranked 1-7. Pot 2 held the eight remaining teams with the highest ranking, and so on for the rest of the pods. This way, with the exception of Spain and Portugal being drawn into the same group, it prevented the heavyweights from being paired together. So far, the results would seem to signal the new method a success. Underdogs in nearly every group have claimed points through the first week of games. There is more parity in the groups than in years past, and thanks to the current setup, the possibility of having major teams meet early in the knockout rounds exists. 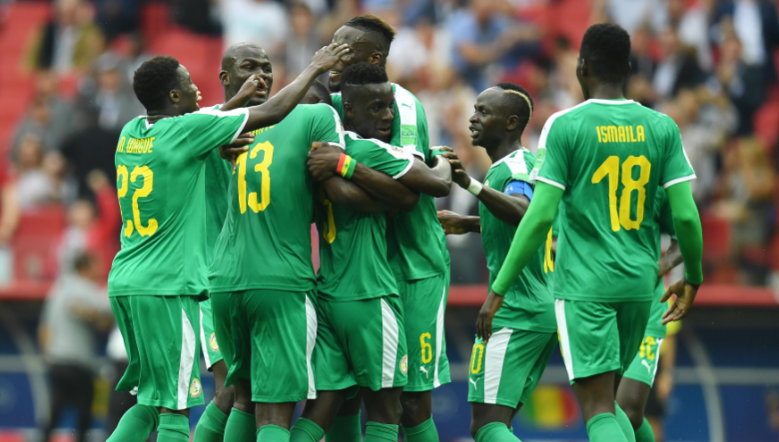 The likelihood of having multiple groups of death is now diminished, giving the likes of Japan and Senegal a better chance of advancing in the tournament. Before the World Cup started, the host nation, Russia, was viewed as easily one of the worst teams in the tournament. If they made it out of the group, it would be seen as a victory. If they had failed to advance, it wouldn’t be a surprise — Uruguay and Mo Salah’s Egypt squads were better teams. Instead, Russia sits atop Group A after its first two games. 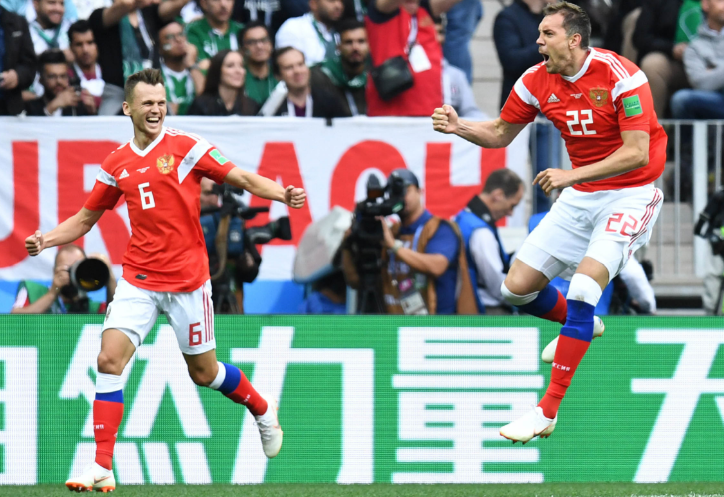 Russia opened the tournament by absolutely shellacking Saudi Arabia, 5-0. But that was Saudi Arabia, the other consensus worst team in the tournament. It wasn’t until earlier today that Russia started making believers out of some. Russia defended their home soil, and shocked Salah and Egypt, 3-1. There is not one person in the world that predicted Russia would have a +7 goal differential after their first two games — maybe someone in Russia, otherwise no– but here they are. If Uruguay gets a result in their match with Saudi Arabia on Wednesday, Russia will clinch a spot in the Round of 16. At this point, it is a mere formality that they advance, but whether they go through as the No. 1 or 2 seed from the group remains in limbo. A meeting with Spain or Portugal most likely awaits, and a win in that round would truly be shocking, but if we have learned anything from the first week of play — never underestimate the host.